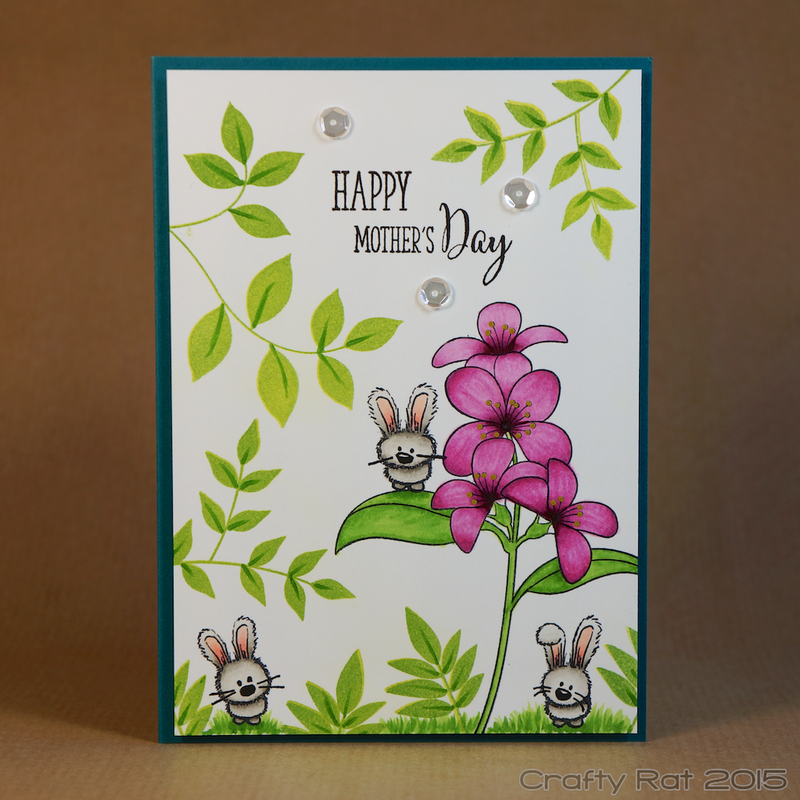 After thinking I had loads of time before Mother’s Day came around, this morning I suddenly realised that it is next weekend and, as I hate having to rush things, I really ought to pull my finger out and get a card done for my mum. It’s also day four of The Daily Marker 30 day colouring challenge so my plan to have cute animals among flowers could also be today’s challenge entry. The background leaves were double stamped to give a bit of variation in colour and a detail flick of Copic was added to each leaf. I’m so pleased that I decided to add grass around the bunnies at the bottom and then decided to extend it all the way across — I love the way it holds it together as a scene rather than individual elements. I’m also really happy with how the gold gel pen on the flower centres worked.